The Foundation will distribute the Regulations for the Awards in the coming weeks. The Prince of Asturias Foundation has opened the Call for Nominations for the 2014 Prince of Asturias Awards. In the coming weeks, it will distribute the publication containing the Call and the Regulations for the Awards, in what will now be their thirty-fourth edition. The publication is now available on the Foundation’s website (www.fpa.es) in Spanish, English, French, German and Portuguese. 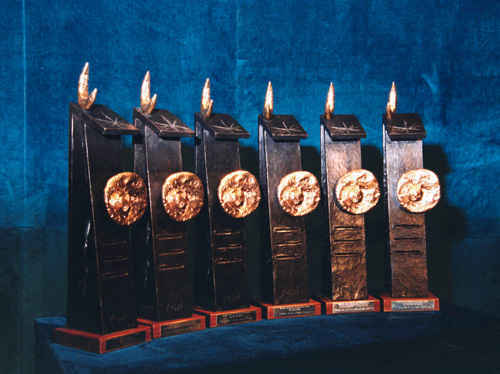 The Regulations establish that the following may present nominations for the different Prince of Asturias Award categories: Laureates from previous editions, those public figures and institutions invited to do so by the Foundation, Spanish embassies, diplomatic representations in Spain, members of the eight Juries, provided they do not submit nominations for the Award in the category corresponding to the jury of which they are a member, and other public figures and institutions of renown. Nominations may be submitted by mail, at the institution’s head office and by email (fpa@fpa.es). Abundant information about the institution, its history, activities, laureates, etc., is also available in a number of different languages on the Foundation website. There are eight Prince of Asturias Awards: Arts, Literature, Social Sciences, Communication and Humanities, Technical and Scientific Research, International Cooperation, Concord and Sports. As stated in the Statutes of the Foundation, they are aimed “at rewarding the scientific, technical, cultural, social and humanitarian work carried out at an international level by individuals, institutions or groups of individuals or institutions”. The deadline for submitting nominations, which ends on 14th March 2013, is extended to 18th July for the Award for Concord. Each Prince of Asturias Award has its own jury, composed of specialists in the areas under consideration. The Concord jury consists mainly of members of the Boards of Trustees of the Foundation. Each Prince of Asturias Award comprises a Joan Miró sculpture representing and symbolising the Award, a cash prize of € 50,000, a diploma and an insignia bearing the Foundation’s coat of arms.